kanaland: Where are you Benjamin? 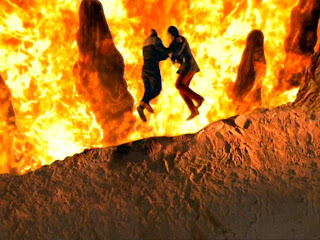 In the very last episode of Star Trek Deep Space Nine, Benjamin Sisko threw himself into the Fire Cages on Bajor along with Gul Dukat. This put an end to his corporeal existence and since then, he's been living with the prophets in the Celestial Temple (the wormhole). He said, however, that he will return one day. Well, Benjamin, it's been 12 years - where are you?